Nearly Half Of Californians Who Used Exchange May Drop Coverage : Shots - Health News Over the next year, many of the more than 1.2 million people who used the Covered California exchange to buy health insurance are expected to switch to job-based plans or Medicaid. Last-minute applicants for health insurance jam the Bay Area Rescue Mission in Richmond, Calif., on Monday. An analysis of the people who signed up for health insurance on California's exchange found that they are likely to drop the coverage for a pretty good reason: They found insurance elsewhere. Researchers at the University of California, Berkeley, Labor Center estimate that about 20 percent of Covered California enrollees are expected to leave the program because they found a job that offers health insurance. Another 20 percent will see their incomes fall and will become eligible for Medi-Cal, the state's insurance program for people who have low incomes. In addition to the 40 percent of enrollees who move to Medi-Cal or job-based insurance, between 2 and 8 percent of those who sign up for Covered California are expected to become uninsured, the analysis noted. This turnover — or "churn" to those who study health insurance — is well-known in the Medi-Cal and individual insurance market. Between 53 and 58 percent of Covered California enrollees are expected to stay in a Covered California plan for 12 months, the report says. The exchange said that more than 1.2 million people had signed up for health coverage by the March 31 deadline. The question of how many people have paid their premiums has become a political issue, with questions being raised about the true enrollment in an ACA plan. But Ken Jacobs, chairman of the Labor Center and an author of the new study, said that even 15 percent nonpayment of premiums "was not a surprising number." He said that according to the analysis, in any three-month period, an estimated 10 percent of enrollees could be expected to leave Covered California, although he says that indeed some may leave the exchange "because the cost was too high." On Monday, Peter Lee, executive director of Covered California, said 87 percent of enrollees had paid their premiums. Jacobs' team also estimated churn in the Medi-Cal program. 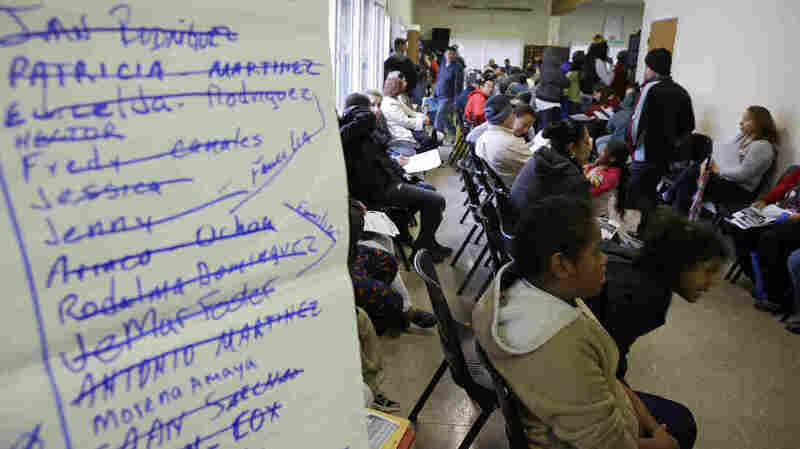 They predict nearly 75 percent of enrollees will stay in Medi-Cal for a year; about 16 percent will become eligible for Covered California owing to an increase in income; and about 10 percent will land jobs that offer health insurance. Before the Affordable Care Act, the study showed, 55 percent of Medi-Cal enrollees stayed in the program for a year. The authors noted that the Medi-Cal population was expected to be more stable because, under the ACA, re-enrollment in the program happens every 12 months instead of every six, and the process is more automated. In calculating their estimates, the researchers relied upon data from the Survey of Income Program and Participation from the U.S. Census Bureau. "This policy brief predicts a significant level of churn out of Medi-Cal and Covered California each year," the authors noted. "Enrollment in Medi-Cal and Covered California will be dynamic as Californians move in and out of coverage." In addition to the 40 percent of enrollees who move to Medi-Cal or job-based insurance, between 2 and 8 percent of those who sign up for Covered California will become uninsured, the analysis noted. Yet just as people will move out of Covered California and Medi-Cal, other people will move in. While open enrollment in Covered California ended on Monday (with a grace period until April 15 for people who had tried to enroll, but could not for technical reasons), many people are expected to sign up if they experience a life event that triggers a "special enrollment period." These events include divorce, marriage, birth of a baby or loss of job-based insurance. "Consequently, it will be vital for the enrollment infrastructure — from outreach, to the website, to in-person and call-center assistance — to be available and active even outside of open enrollment periods," the authors said. Medi-Cal doesn't have enrollment periods. People can sign up at any time during the year. This story is part of a collaboration that includes KQED, NPR and Kaiser Health News.